If people here talk about the Albigensian Crusade like it happened last week, the more regionally nationalist talk about La Vergonha (the shaming) like it happened yesterday. La Vergonha refers to the systematic process of imposing French on the Occitan-speaking peoples of the south (number 7 and 8 on the map and if you want to include Catalan in the same family, which many linguists do, number 6 too) when education became compulsory in the nineteenth century. Reduced to a rural language (which has always come described in nationalist literature as “an unwritten dialect or patois”) after the Albigensian Crusade destroyed its high literary culture, the process involved not only the teaching of French but the systematic punishing of the speaking of Occitan, even outside of school, of the children of the region, and the conditioning of adults to feel embarrassed to speak it publicly as well. 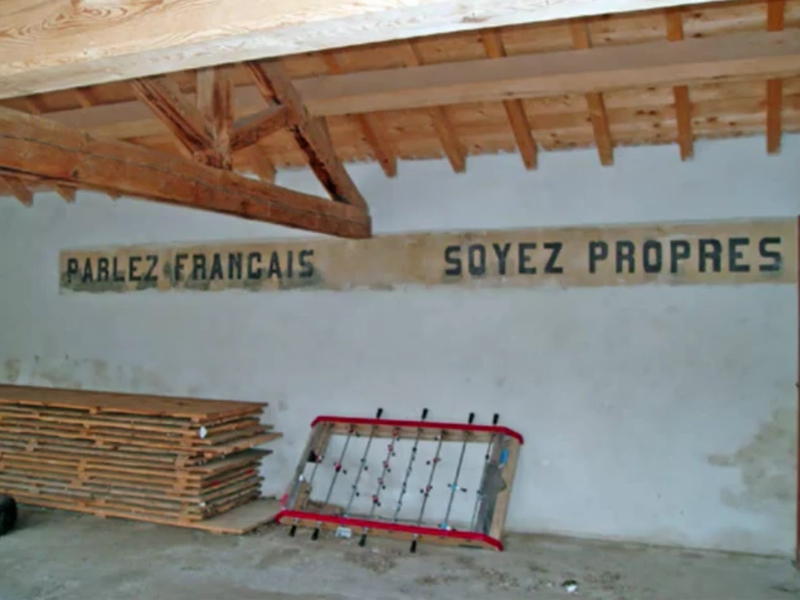 The statistics are truly astounding — and sad: “In 1860, before schooling was made compulsory, native Occitan speakers represented more than 39%of the whole French population, as opposed to 52% of francophones proper; their share of the population declined to 26-36% in the 1920s,and then dropped to less than 7% by 1993.” Despite strong pressure to do so, the French government still refuses to grant it official status as one of the nation’s official languages and frankly, with only 7% of the population actually fluent in it, why would they? And this is France, the state that created hyper-centralized statism. How Occitan nationalists think they’re going to obtain the recognition they want is beyond me. But are they preserving their culture? That’s the question I get stuck on, no matter how much an enemy of forced nation-state homogenization I am. 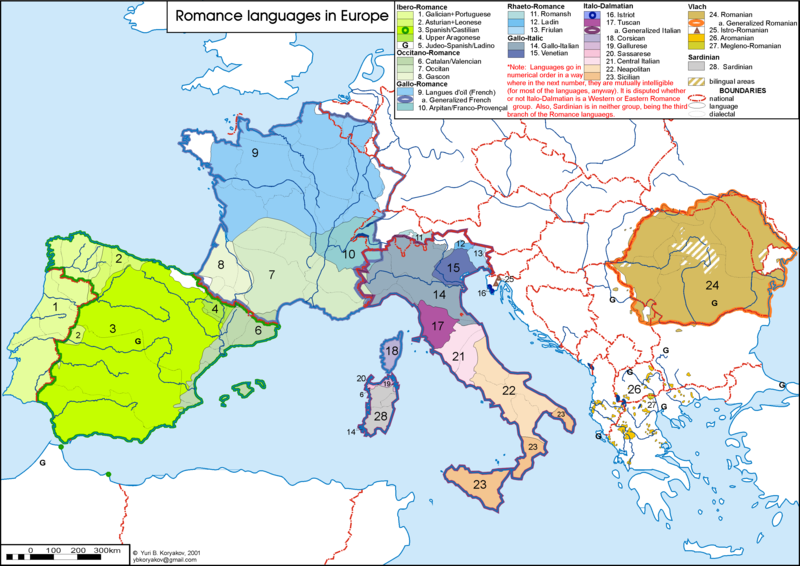 Or more specifically, how much is something like Occitan language-nationalism sincere and how much is post-modern micro-identities coming alive for some reason I’m not able to explain really? Is it just dilettantism? 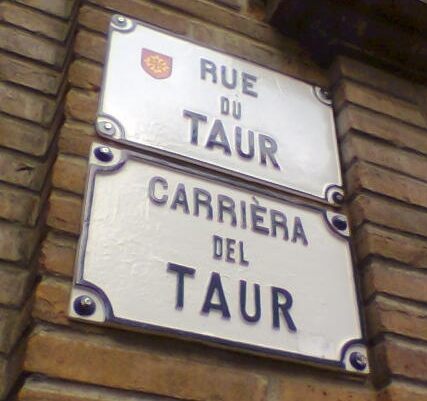 You hear a lot about Occitan here in Toulouse, the dialect of which, in fact, is the basis for the language’s standard; what you don’t hear is any Occitan. I live around the corner from an Occitan cultural center here in the Carmes quarter of the city and they have classes for kids and I hear them singing sometimes or reciting things. And whenever I see their parents out front waiting for them and the kids are let out all anyone is speaking is French. I don’t mind the EU spending money on bilingual signs — here, in Galicia, in Brittany, wherever — but those expressions of recognition actually seem more petty than anything else and some even seem disrespectful, almost a mockery: announcements in the Toulouse subway system are bilingual, for example. Great. So now the young descendants of the troubadours can proudly say: “Watch the closing doors. The next stop is Esquirol” in the Occitan of their ancestors. Or even in Greece. For the life of me I can’t imagine what “Arvanitika” organizations in Greece do: when nobody speaks the language, and they call themselves “Arvanites” and not “Albanoi” which would imply Albania, which is where their ancestors came from and that would be taboo. Do they try to revive the language? Not that I know of. Do they do anything that the Albanian-speaking communities of Italy do? Do they go on trips to Albania to get to know the land of their ancestors? Of course not. Do they set up aid organizations for recent Albanian immigrants to Greece in a spirit of fraternal support? Even less. They’re much more likely to have put them to work in their fields in Boeotia picking tomatoes for slave wages, or were until the new Albanians wised up. Or Vlachs. It seems that every year the number of Vlach cultural organizations and fraternal associations increases in inverse proportion to the number of true, living native speakers of the language that are still around. The material or music and dance culture of Vlachs is not noticeably different than that of their neighbors; if they’re not learning Vlach, what are they doing? Pane ekdromes? They could do that as regular Greeks too. There are more dangerous and toxic manifestations of that kind of localized-identity nationalism as well, most noticeably the Basques. Less than 25% of the people who claim that they are Basques ethnically in Spain can actually speak the language at all — at all. I once caught a hysterical comedy skit on Spanish television where a man in San Sebastian was trying to pull off a bank robbery in Basque — on principle. And it wasn’t working because the teller couldn’t understand him. Then the neighboring teller chimes in about the robber’s grammar and that it’s incorrect according to the teacher at the night-school Basque classes she goes to and the other customers on line start arguing with him and the tellers about noun declensions and whether his use of the subjunctive is correct or not. And the robber starts to scream, frustrated: “I’m in Donostia (San Sebastian in Basque) goddammit! Not Burgos! And I can’t even hold up a bank in my own language!” Finally, the cops arrive and instead of apprehending him, they get caught up in the one-upmanship of the group of barely Basque-speaking Basques’ grammar arguments and the robber, frustrated, makes his escape. It was hilarious and it was on YouTube for a while but I haven’t been able to find it again. But that’s not all a joke. People killed each other in the hundreds for decades for a an identity with only the most fragile of real footing and a language that none of them spoke; and in post-Franco Spain, one of the most liberal, progressive on social issues nations in Europe, where you’re free to learn any language you want and maintain any kind of culture you like. So, at the risk of sounding glib, make the effort to learn the language first — BE a Basque first — before you start killing people. I guess I’m a supporter of American style laissez-faire policies culturally and linguistically. No language should be prohibited; but none should necessarily receive state support either, especially for a language that actually has very little chance of survival. Reviving it, maintaining it, disseminating it is the community’s choice; if they can do it, halali. But a language or culture that’s strong enough or rich enough to survive will not need support of any kind, almost by definition. In multilingual situations where practical problems are presented, like with the immense number of Spanish-speakers in the United States, I think it’s fair for the state to step in and offer services that facilitate bureaucratic operations. But nothing more than that. What’s irritating is the ethnicity-based nation state’s inability to believe that people can be successfully, functionally bilingual. People have been so for centuries, especially in our part of the world, where, especially in the cities, being monolingual was the exception rather than the rule, and almost as much so in rural communities, at least among men who had more dealings with the outside world or had emmigrating experiences. Puerto Ricans, both in New York and on the island, are going on their fourth generation of being successfully bilingual. I understand that with the spread of literacy and compulsory schooling some kind of standard had to be established, but that standard doesn’t have to be the same for every community. And ultimately, it’s not proper or efficient social functioning that the nation-state is looking for in imposing language uniformity (New York bureaucracies, where five or six or a dozen or more different languages are regularly used in the daily functioning of one office are much more efficient than, say, Greek bureaucracy); it’s ideological uniformity. The fear is not that you won’t be able to function in the national language; the fear is that if you speak another one as your first language it’ll serve as a conduit for anti-national ideas. And that’s what the Vergonha was all about. **More on Albanians in Greece in an upcoming post.